Sometimes I feel like "loving lately" posts are a cop out. It's sort of like if you can't come up with something to create, you can just put together a list of things others have created and call it a day. But I've decided to write this post because there are a bunch of things I want to share with you that I have been genuinely loving lately! Quick update: I injured a bone in my foot and have been housebound for the last 3 weeks, and it looks like I'll be stuck for a while longer, so I've needed to entertain myself without going out. This is hard for someone like me who likes to be on the move and whose favorite activity is legitimately walking. However, this is how I've been able to put together this list, so positive things, right? I am not a podcast person. At first I thought I was just more into reading than listening, but now I think it may be because I hadn't found the right podcast. Career Contessa, my favorite site for career advice (where I've contributed a guest post), launched a podcast called The Femails. It's hosted by Lauren, the founder of Career Contessa, and she speaks with women on a whole host of topics. You get to hear about their experiences and how you can apply the lessons to your own life, and I've found each episode to be valuable. I subscribed to Kalyn's channel within the last year and love her! She is positive and insightful and her editing is absolutely beautiful. This is my first YouTober as a subscriber (she posts everyday in October) and I am excited each day to see what she posts. The Everygirl is a website I subscribe to and their fall playlist is so pleasant! A mix of new and old keeps it interesting and it's become a go-to when I'm working. You can check out other playlists I like to listen to here. I think we can all agree that there is nothing like a good fall scented candle to get in the mood for the season. Yankee Candle used to be my first stop when looking for a great scent, but Bath & Body Works came on to my radar with the Summer Boardwalk candle, and they have not disappointed for fall. Joe and I each got a different scent and the jury is still out on which one is the absolute best. I got Leaves and he got Sweater Weather. I know I wrote about this about two seconds ago, but I have really been loving reading classic, great books. It seems like I've been playing catch up from books that I somehow never had to read in school, and it's the perfect way to get into the start of school/learning mindset this fall. 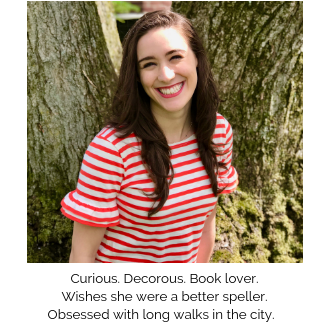 Check out my Goodreads profile to see what books have been making the cut. 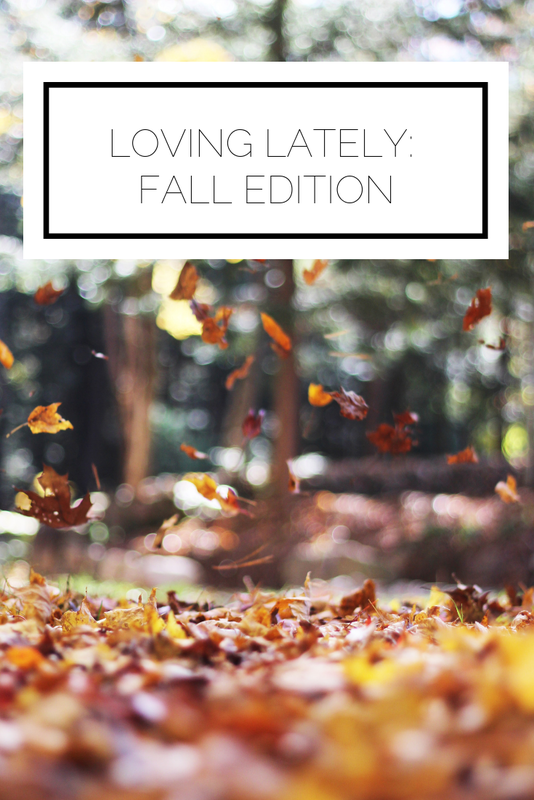 What have you been loving this fall?